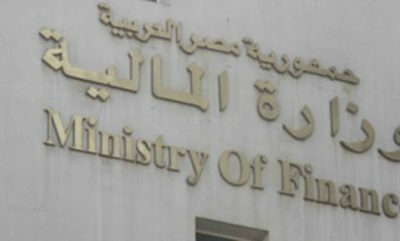 CAIRO – 30 January 2018: Egypt’s Ministry of Finance said in a statement on Tuesday that the government issuance market has seen a strong return of foreign investments in domestic tradable debt instruments during January after returning from Christmas and New Year's holidays. [caption id="attachment_1490" align="aligncenter" width="400"] Egypt's Ministry of Finance[/caption] The inflow of foreign investments stepped up since the beginning of the year to peak this week with an average participation of about 30 percent in T-bills, and about 55 percent in five- and 10-T-bonds tender, according to the ministry. “100 percent of the five-year T-bond issue on Monday, Jan. 28, was for foreign investment institutions, indicating how confident foreign investors are in the performance of the Egyptian economy,” it stated. This coincides with the tribute of IMF Director Christine Lagarde to the Egyptian economic reform program, which is a testament to the confidence of foreign investors as well as the stability of the market. The ministry's announcement came one day after the Egyptian pound first rose against the dollar in more than two years. EFG-Hermes said that the currency has become more sensitive to money inflows after the central bank ended the currency repatriation mechanism for foreigners late 2018, rising 1.5 percent to 17.6287 against the dollar, according to Bloomberg-compiled prices. Bloomberg News Agency commented on this announcement, saying that foreign investors got back to achieving the highest returns in Egypt, after buying 30 percent of local currency treasury bills and more than half of the long-term bonds offered by the government this week. “It appears foreign investors can no longer resist the allure of some of the juiciest yields in emerging markets,” it stated. The news agency added that after withdrawing about $10 billion from Egypt during global sales in 2018, foreign investors returned to the highest returns in an emerging market after Argentina, according to the Bloomberg Barclays Index.